Order your pet's meds and supplies online! You can now order your pet's prescription medications and therapeutic diets online and save money. Safe, secure and quick...delivered to your door. Plus training products, pet accessories like leashes and collars, and cleaning supplies too! Just click on the prescription pad at right to order 24 hours a day. There's only one way to make your pet feel at home with a vet... Keep them at home. Dr. Lawrence Putter, a Doctor of Veterinary Medicine in New York, specializes in at-home care for your companion animals throughout New York City. For over 29 years he has provided a range of veterinary services in the privacy of your own home, treating companion animals and their owners with equal respect and compassion. For consultations, questions and non-emergency care, please submit an inquiry. Answers to common questions can be found on the FAQ page. 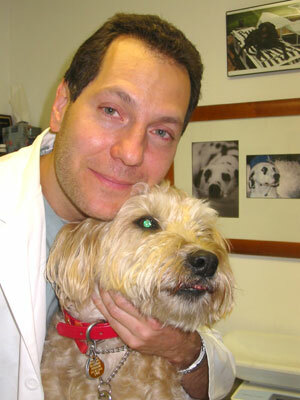 For emergency services in New York only please call Lenox Hill Veterinarians at 212-879-1320. Dr. Putter provides tips on preventive medicine for you pet in the Oct. 2003 Redbook. Click here to view the story.